When you build a website, one of your top priorities should always be to put your personal stamp on the project. You can do this through your visual style choices, your custom graphics, or even custom footers that say—in essence—I made this. And while many developers focus on adding branding to the frontend of a site, the backend is often left untouched without a hint of customization. That can be fine if you’re the only one working on the site but if you have a team or allow client access, the generic out-of-the-box WordPress dashboard might not serve you all that well. Basically, your site’s backend could be doing more for you. It could be working harder for you. And that’s why white labeling—the process of adding personalized, branded touches—is such a good idea. So today I’m going to present some solutions for white labeling your site, from plugins and themes that guide your customizations to manual code snippets you can drop into your site right this second. What’s the Point of White Labeling? Sound like you? If it does, that’s okay. I completely understand the impulse to focus on the part of your site your potential clients and customers will see. Believe me. I get it. But sometimes doing a little extra work to make the internal operations surrounding your site more streamlined, more effective, and more personalized can have a dramatic impact on that aforementioned outward appearance. Sometimes, you’ll come across a client who has never heard of WordPress before and honestly doesn’t care that you’re using it. So seeing notes all over the place in the dashboard about WordPress-this and WordPress-that can be a bit confusing. At its heart, white labeling is about branding. As I said earlier, it’s about making your mark. A solid brand reputation stands to be perceived as more professional and more put-together than one that’s a bit all over the place. You go to great lengths to customize other aspects of your sites, right? You wouldn’t even think of launching a site without a company logo. So why not have the same mentality for the backend? Team members and clients tasked with logging into your site for the first time are sure to be impressed when they see your logo and welcome message rather than the same generic WordPress ones they’d see on any other site. I think one of the coolest things you can do with white labeling is include links to additional documentation and support in the dashboard. This is so incredibly helpful to your clients and your team members who maybe aren’t as familiar with this whole WordPress thing as you are. You can even link to support videos if you want to provide even further guidance. The WordPress dashboard comes equipped with some things standard. But depending on your team or your clients, not every widget that appears there is going to be relevant. And again, for newbies, you only stand to confuse them if you present too much information at once. White labeling affords you the opportunity to remove and/or add widgets to suit your needs at the time. For instance, if your team members are mostly contributors to your blog, they might only need to see the “At a Glance,” “Quick Draft,” and “Activity” widgets. Everything else would just be extra and possibly viewed as in the way. If you only want to add a couple of white label aspects to your site, it’s pretty easy to accomplish manually. Just a few code snippets can get you a custom login page or a custom greeting. To change the logo you need to first create a custom image. You want something that’s going to fit nicely above the username and password fields. Between 300px and 315px wide, and 75px and 130px, tall ought to do it. Save this image as a PNG file and upload it to your theme’s images folder. Just make sure to swap out login.png with the name of your custom logo and adjust the height and width variables to match your image and you’ll be all set. That way when someone clicks on your logo, they will be taken to your homepage and not directed to WordPress.org, which could be very confusing for your client. “Howdy” can be changed to read whatever you’d like. Having a custom logo, footer, and welcome message are great, but if the logo in the admin header is still stuck on the default WordPress one, you’re going to create an inconsistent brand image. Just make sure the image referenced here matches the file name of your custom logo and you’ll be all set. Most WordPress dashboards look something like this. You can create widgets to display custom contact information. As you can see, you can easily display your name, website, and contact information in its own widget. Custom widgets can be used to display links to support docs, too. Your clients shouldn’t have to guess at how to use your dashboard, so provide as much information as you can upfront and point them to as many of your custom resources as possible. Sure, there are plenty of tutorials out there about how to use WordPress, but why make a client search for that info when you can provide it under your own brand? The newest versions of WordPress offer the ability to change up how your dashboard’s color scheme looks. Still, these preset options might not be exactly what you’re looking for. Being able to customize the admin color scheme means you can ensure every aspect of your site’s backend matches your company’s branding. Of course we have to mention our own plugin, Ultimate Branding, first. We’re pretty fond of it and think it does a really great job of giving site owners the ability to add white labeling without having to dive into PHP. This plugin makes it easy to add your brand to just about every aspect of the WordPress backend, including a custom login image, admin bar, global footer and dashboard footer content, meta widget, admin help content, custom multisite favicons, and much more. You can also remove dashboard widgets to ensure your clients are only presented with the information they absolutely need. Ultimate Branding is an all-in-one plugin but far from a one-size-fits-all solution. Customization is the name of the game and when it comes to branding your site, thoroughness is key. Another option for adding customization to your dashboard is to use the White Label Branding for WordPress plugin available on Code Canyon. While its primary focus is on letting you brand your site, it includes some other interesting features that are worth mentioning as well. With the Dashboard Tool, you can add as many custom dashboard meta boxes as you want. Thanks to navigation options, you can hide top-level and sub-level menus, rearrange their order, hide individual menu items based on user role, rename menus, and change menu icons. You can even hide the admin bar altogether if you want to prevent users from poking around too far into your site’s settings. It also offers a variety of color scheme options. For instance, you can add a custom color scheme for wp-admin, change menu and content area colors, and customize how buttons appear. The role and capability manager lets you establish custom user roles and capabilities, which you can then tie to some white label features. For instance, you may opt to have different users, based on their roles, see different dashboard metaboxes. So, admins and contributors wouldn’t see the same things, thus preventing confusion and potential for errors. You can expect to pay $28 for a regular license and $140 for the extended license. Interested in White Label Branding for WordPress? Self-described as an “all-in-one tool for admin panel customization,” you can easily modify the admin bar and menu, add personal branding to the admin panel in the form of images and content, and swap out the colors used—including in backgrounds and text—to better suit your brand’s image. With just a couple of clicks, you can change out the admin panel theme as well, change the dashboard widgets, and modify what appears in the Help and Screen options menus. The admin themes are responsive and perfectly suited for the admin panel and login page. Tired of clients accidentally creating new pages instead of posts? You can hide the “New Page” option from the dashboard and prevent it from happening ever again. You can also hide the options to create new links, users, media, and posts should you so desire. Adding videos to your site can be a great way to incorporate media and dynamic content. However, just embedding YouTube videos using the standard embed code can look a bit out of place. The videos won’t necessarily blend in with the rest of your design and the formatting could be a bit wonky. That’s why the YouTube White Label Shortcode plugin is so handy. Once installed, you can add any YouTube video you want but you have the option to change up the player’s logo, whether or not videos start immediately upon loading, the player style, and more. While this short code generator is automatically added in a metabox on all post types, you can opt for it to only appear on the post types you specify. Interested in YouTube White Label Shortcode? If you’re not big on all the white label features and just want to add your logo to the admin login page and call it a day, Uber Login Logo is a good way to accomplish that. With it, you can upload your logo via the standard media uploader and swap out the logo by adjusting a few settings. Simple. It’s extremely lightweight, which makes sense since it only performs one function. Still, if you don’t feel like poking around in functions.php, this plugin will give you a branded login page without calling much attention to itself. Interested in Uber Login Logo? If getting rid of the admin bar is your top priority on the white labeling front, you should check out Disable WP Admin Bar Removal. This plugin will let you select from several settings to remove the admin bar, the toolbar, and tooltips. It can also hide admin icons on the backend of your site and can be used to add a header and footer log and a logout function at the top of the dashboard. Interested in Disable WP Admin Bar Removal? Changing the menus in your WordPress dashboard is another way to customize the backend experience for your team and clients. If you’d rather not poke around in code, Admin Menu Editor will get the job done quite nicely. With it, you can change menu titles, URLs, icons, and CSS classes. You can also rearrange the order of menu items easily via a drag-and-drop interface and opt to hide or show any menu or menu item. It’s also possible to set who sees what version of your menu based on user capabilities and/or roles. Another cool thing about this plugin is you can create custom menus that point to any section of your dashboard. Or, you can configure these menus to link to external sites. This can be an excellent way to incorporate links to your support documentation in the dashboard. Admin Menu Editor Pro adds on a few extra features if you really want ultimate control over your menus. Some of these features include the ability to hide a menu from all but specific users, set per-role menu permissions, drag items between sub-menus and main-menus, and export the admin menu for use on other sites. It’s available under three licenses—personal, freelancer, and business—which are priced at $19, $29, and $59, respectively. Normally when a discussion shifts to talk of WordPress themes, it’s referring to those that make up the design and style of a published and public website. However, themes are also available for styling the backend of your site. More recent versions of WordPress have ramped up the style factor quite a bit. Individual users can select from a variety of color schemes through which to view the dashboard. From the cool tones of “Ocean” to the seemingly Halloween-inspired “Ectoplasm,” many people can find a look that appeals to their day-to-day sensibilities. But if it’s important for you to create a branded look that’s in keeping with your company’s color scheme, you may find these out-of-the-box selections just won’t cut it. That’s where admin themes come in pretty handy. If you want to display your WordPress admin a little differently but don’t want to spend hours on custom code, Modern Admin might help you. This admin template is retina-ready and comes equipped with five different color schemes including blue, green, red, yellow, and purple. Plus, the custom color picker ensures you can make the right selection for your dashboard. 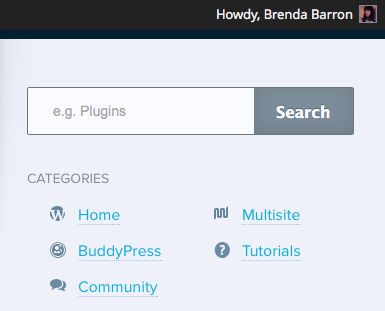 This theme has some of the features of white label plugins, too. For instance, you can customize the login page, add a custom logo, change the dashboard icons, and more. It also includes import/export settings and can be easily updated within the admin panel. A regular license costs $14, while the extended costs $70. As its name suggests, WP Quick is an admin theme that can be implemented quickly. It comes with plenty of features to keep savvy folks satisfied but is easy enough to setup that newbies to while labeling can get the hang of it right away. Along with the ability to customize the colors and fonts used, you can also streamline the dashboard to only show the widgets you want displayed. For instance, you can stop those pesky update notifications from appearing, customize the login page with a unique logo, and change the default site avatar. It also works with multisite, so you can create a custom, branded dashboard across all of your client sites very quickly. Of course, I would be remiss if I didn’t mention WPMU DEV’s own admin customizer, Easy Blogging. Though technically a plugin, it lets you customize every aspect of the “look” of your dashboard very much so in the way a theme would. It comes with some presets that make configuration and setup a snap. For instance, one click activates “Easy Mode,” which removes some of the more complicated options from the dashboard and adds new icons and tooltips to make your clients’ user experience more intuitive. Easy Blogging also has a “Wizard Mode” that gives new users a step-by-step walkthrough of how to use the dashboard. And of course, you can customize this mode to include the information that relates to your site. You can even add in help links wherever you want using a drag-and-drop interface. And since it works with multisite, you can set it up once and apply it across all of your sites. Convenient? I think so! 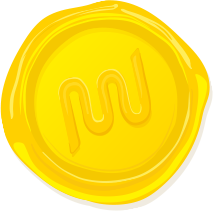 Easy Blogging costs $40 by itself or $19.60 per month with a WPMU DEV subscription. The last admin theme I want to throw at you here is Forest. This is a theme designed to make your WordPress backend as exciting and engaging as the frontend. It comes with two admin styles within which you can adjust the background darkness level, background image, color scheme, menu font, and content font. You can also enable a Quick Panel that makes it simple to adjust settings on the fly. Plus, you can adjust how the Quick Panel looks for an even deeper level of customization. As with all the other admin themes mentioned here, Forest also lets you configure standard white label functions like setting a custom login logo and login image, custom footer text, and custom admin CSS. Plus, you can hide certain WordPress admin widgets from view. Forest includes a Google Fonts chooser, Font Awesome Icons, and sports a retina-ready design. It’s also multisite-compatible. The regular license costs $14, while an extended license costs $70. 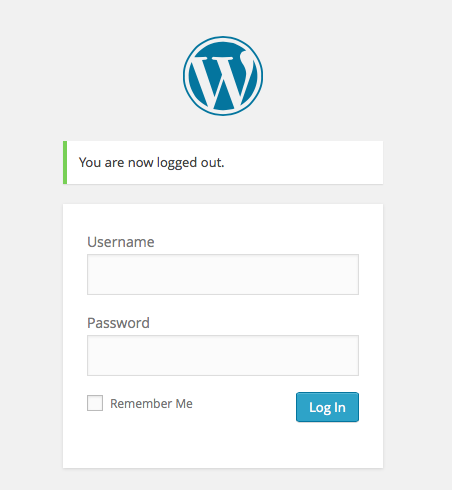 Interested in Forest - Revolution WordPress Admin Theme? For more backend themes for white labeling your site, you should read our top 10 list of WordPress admin themes. Whether you build many sites for a wide range of clients or just a few now and then, being able to take control of the the admin side of things can be incredibly liberating. White labeling not only gives you the freedom to create a dash that fits your brand identity, it also lets you create an interface that’s custom-tailored to your clients. When deciding on which white label code snippets, plugins, or themes to use, try to keep a general idea of your goals in mind. What do you hope to accomplish with these changes? Do you just want to streamline the look of the backend of your site? Do you want to improve functionality for your clients? Both? It might even be helpful to create a list of the pros and cons of each modification before committing to them. Do you make it a habit to white label your sites? What tools do you use to get the job done? Are you a flat-out coder or do you take the plugin approach? I’d love to hear your thoughts in the comments below. The admin menu editor coupled with the OZH admin menu drop down and admin menus fixed make a great package to gain screen real estate and make finding things easier. I used the admin menu editor to add post drafts, posts published, pages published, pages drafts, plugins active, plugins inactive and plugins recently active to their respective menus. At last I can go directly to where I want to work without all the WP long routes. Thanks so much for the admin menu editor and the links to the admin menu drop down article. Maybe a combined article of the menu fixes would be in order. I also requested the sticky drop down menu bar from admin menus fixed be added to the OZH plugin. What about hiding or changing what theme and plugins you are using when users go to websites like http://whatwpthemeisthat.com and others.